Secretary of State for housing James Brokenshire has accused Sadiq Khan of failing to do all he could to increase overall housing supply in London and urged him to do more to help private sector developers to contribute. 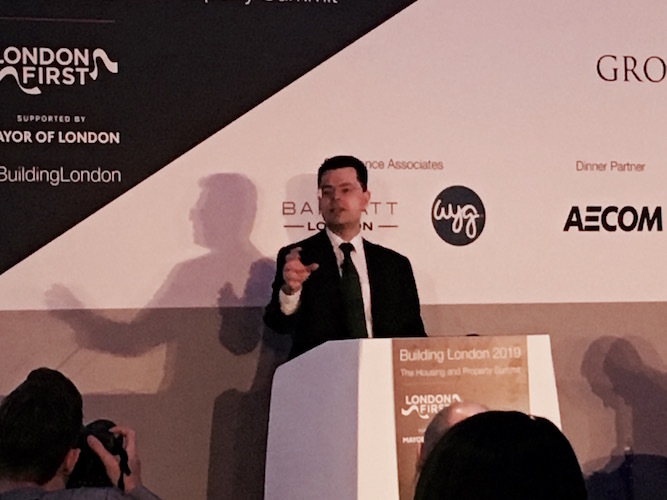 Speaking at the Building London summit in Bishopsgate, organised by business group London First, Brokenshire invited the Mayor to “up his game and focus on delivery with the powers he has but isn’t using,” adding that “despite all the talk of putting housing first,” he considered City Hall’s recent record “disappointing”. 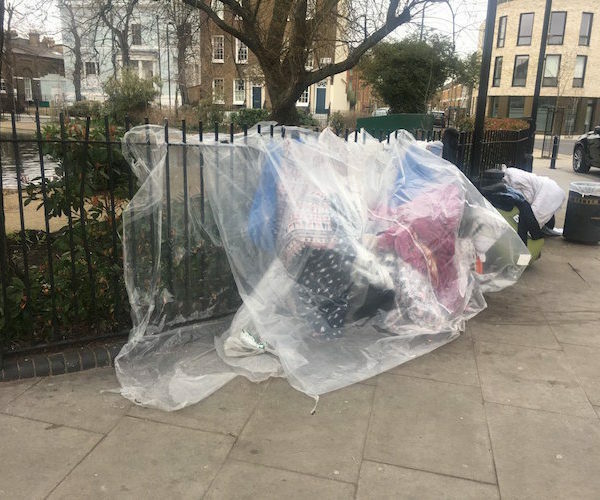 In a sharp response to the remarks, James Murray, the Mayor’s deputy for housing, quoted in the Evening Standard, described Brokenshire’s words as a “desperate” attempt to distract attention from his “track record of blocking plans for new homes, including those at social rent levels which Sadiq has given the go-ahead to”. 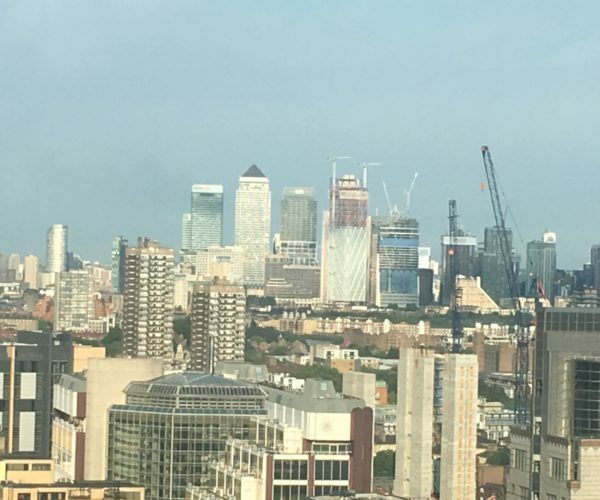 City Hall points to three schemes approved by the Mayor that Brokenshire’s department has put a hold on, in Abbey Wood, Brentford and Newcombe House in Notting Hill Gate. Asked after his speech to elaborate on the mayoral powers he had in mind, Brokenshire, who is MP for the London constituency of Old Bexley & Sidcup, said, “I understand and recognise the Mayor’s desire to drive up more affordable and social housing,” but said doing so “also relies on a strong private sector,” and that you “leverage more [affordable homes] by doing so. It’s that blend that gives you that additionality and gets you into that place of delivering on those rightful social policy objectives in parallel.” He said he believes the Mayor is “earnest” about wanting more homes built, but that the issues is “ultimately about leadership”. Though insisting he wanted to work collaboratively, Brokenshire also reminded his audience that has “raised concerns” about the Mayor’s [draft] London Plan, and said his department will be pursuing these by way of its formal “examination in public”, which has recently got underway. Last summer, Brokenshire wrote to the Mayor, arguing that the 65,000 overall target for housing delivery in the draft Plan is too low. Brokenshire also said the government’s recent decision to remove the cap on local authority borrowing for housing “could unlock around 10,000 homes in London” and highlighted his provision of a £9 million fund through government-funded housing agency Homes for England towards building new “modular homes” on top of existing building on five London sites. 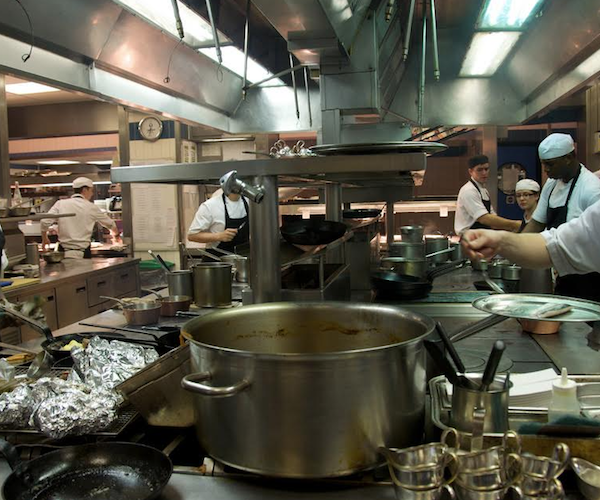 Would penalising London help close the ‘north-south divide’? London needs a world class concert venue, but will the Centre For Music ever get built?